ASRock was one of the pioneers in the SFF PC space with their Core and Vision series of products using customized boards. After Intel's NUC and mini-STX became popular, the company introduced the Beebox (NUC clone) and the DeskMini (mini-STX and micro-STX) series into the market. 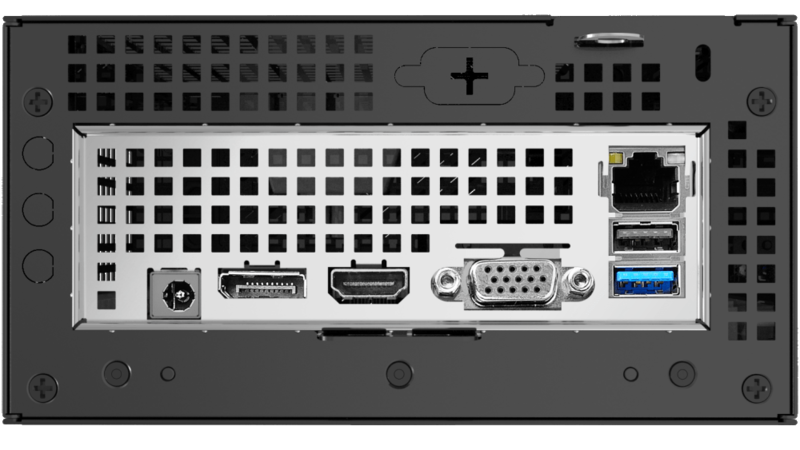 The DeskMini units are sold as barebone packages, coming with the chassis, motherboard, power supply, Wi-Fi module, and assorted cables. Users need to supply a CPU, a CPU cooler, DRAM, and storage. The chassis of the DeskMini 310 is barely different from that of the DeskMini 110. 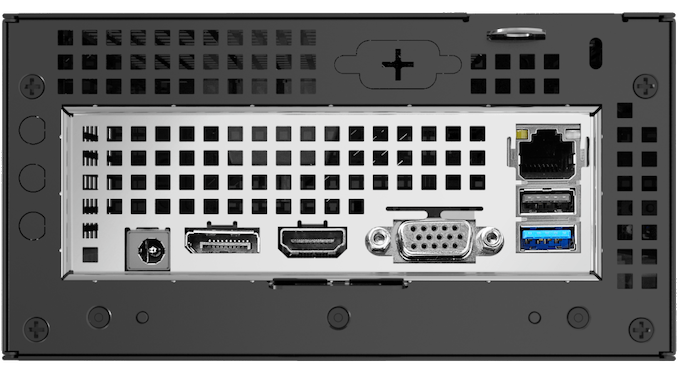 The only update is the presence of two USB 2.0 ports on the left side panel (assuming the system is oriented vertically) - we saw this in the DeskMini Z370, and we are glad that the feature also makes it to the DeskMini 310. The location of these two USB 2.0 ports makes them perfect for plugging in the receivers for wireless keyboards and mice. Moving on to the features of the motherboard itself, we find the DeskMini 310 enabling the M.2 SSD slot with four PCIe 3.0 lanes directly from the CPU. The PCIe lanes off the H310 chipset are used by the Wi-Fi module. The main difference compared to the DeskMini 110 board is the presence of a micro-SD slot. Other features (such as the ability to accommodate two 2.5" drives) are carried over from the DeskMini 110. ASRock sampled us a barebones unit of the DeskMini 310. In order to complete the build, Intel helped us out with a Core i3-8100 (the budget H310-chipset is usually paired with one of the compatible low-end Core-series or Pentium/Celeron processors). We used a 240GB Phison PS5007 reference design with MLC flash for the NVMe drive (roughly equivalent to the Corsair FORCE MP500 or the Kingston KC1000) and Team Group's Vulcan DDR4 SODIMMs rated for 2400 MHz operation.